Arkfalls are dynamic public events that randomly spawn over the known map. Minor Arkfalls are represented by the red icons, and small circles, Major Arkfalls are the larger circle surrounded several minor arkfalls. There are two types of Arkfalls, Major and Minor. Minor Arkfalls are like Emergencies, they spawn from similar nodes and locations and they may take from several to 15 minutes to complete. Major Arkfalls are a collection of Minor Arkfalls culminating in a large final encounter. 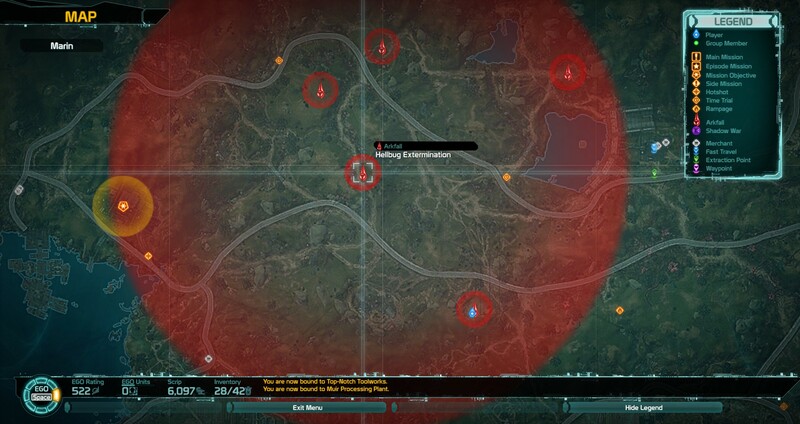 When in an Arkfall area the event info location at the top center of the screen will have a red background, with instructions how to proceed and the time remaining before the Arkfall ends. 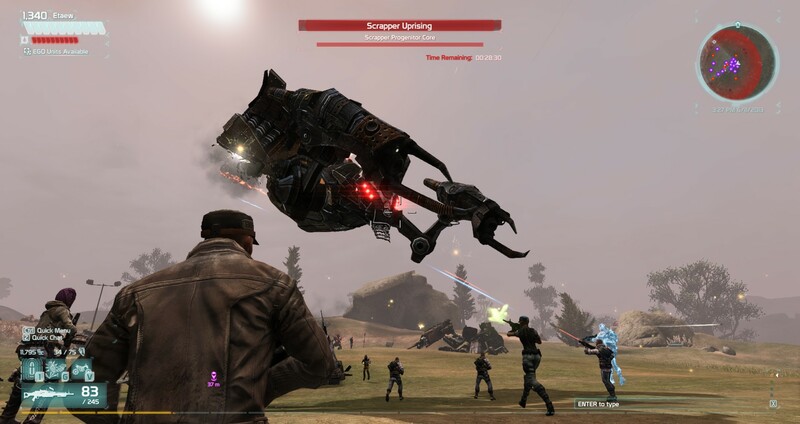 Enemy groups have their own Arkfall encounters such as Hellbugs, 99ers, Dark Matter, Mutants and Scrappers. When you complete a Minor Arkfall (when not in a Major Arkfall) you will see a rewards screen appear immediately otherwise you will get all the rewards after the final encounter in the Major Arkfall.